For registration go to the home page of this site then click on the banners there one by one. 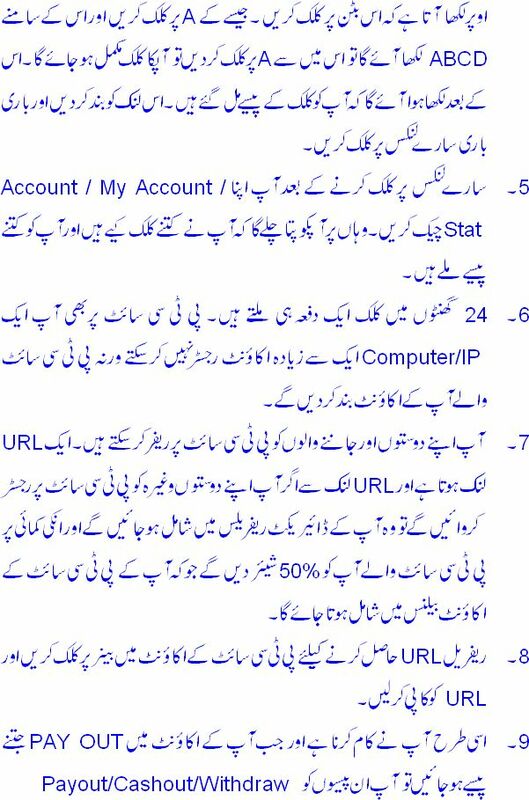 When page opens click on Register/Signup/Join. You can see registration form now. Fill that form as required. 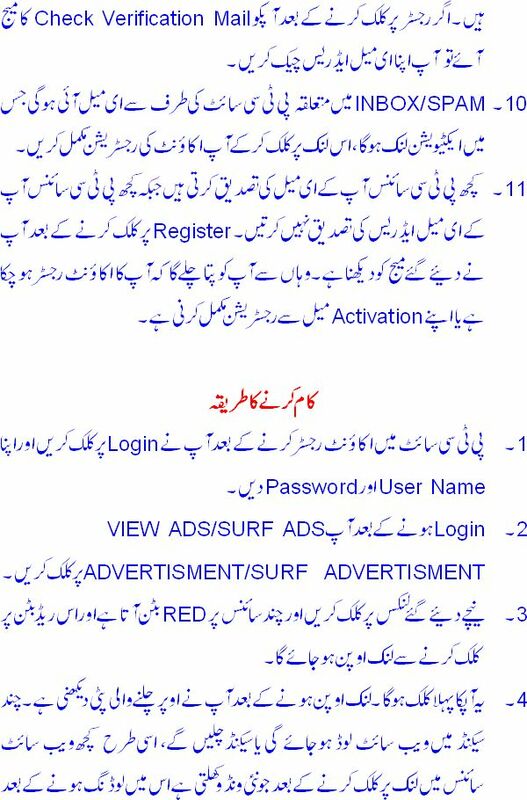 Give your active email address because you have to activate your account through activation link. Site admin will send activation link to your email address for verifying your email address. Give your AlertPay email address n PayPal email address in registration form. 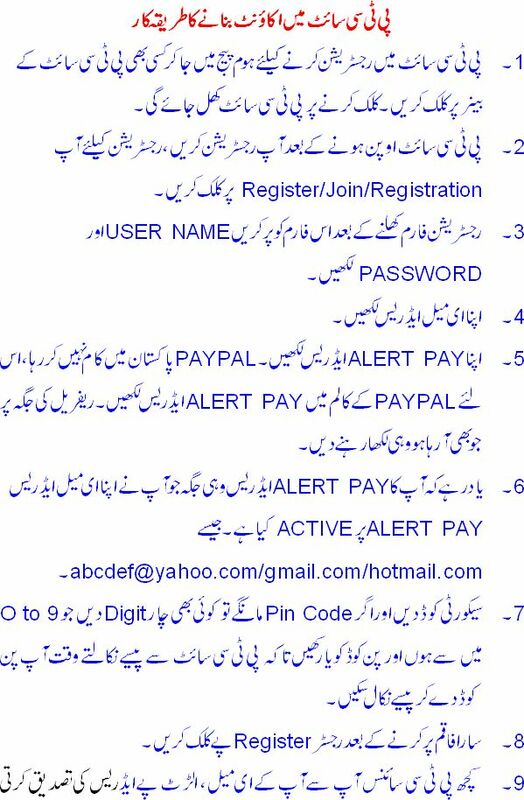 PayPal is not active in Pakistan so give the AP address in PayPal option too. If they asking 4 LIBERTY RESERVE give your email address there too. If you are asking for pin code in registration, give any 4 digits code of your choice like your ATM card pin code. It will require when you asking for cash out from the site. After filling the form click on register option. Some sites verify your email and AP address. If you receive message Check Verification Mail go to the mailbox and activate your account. If you wouldn’t found mail in your inbox, check your spam folder too. You have found an activation link email. Simply click on the link and activate your account.